This evening, we’ll uncover the man we call Marshall. We’ll reveal that he is just a man….but with mythical qualities that some of you may, or may not, see. We’ll learn of his magic as we sit quietly in our flimsy folding chairs, attentively gazing forward as the Man philosophizes on very deep subjects and on a lot of shallow subjects. This is a demonstration as no other seen in our Club. You won’t want to miss it. It is rumored that the Man may not even allow it to be recorded for prosperity….again, this mythical, magical aurora must be preserved. The demonstration will conclude with actual turning and hi-tech embellishing…embellishments…. embellishmenting, I guess. Excuse me now as I head to my woodturning lair to sharpen my skews and to find my 36 grit sandpaper. I hope to see you all at our next Club meeting. And by the way, this is an adult-content demo… probably not suitable for younger turners. Au revoir, my friends… till we meet on the 29th! 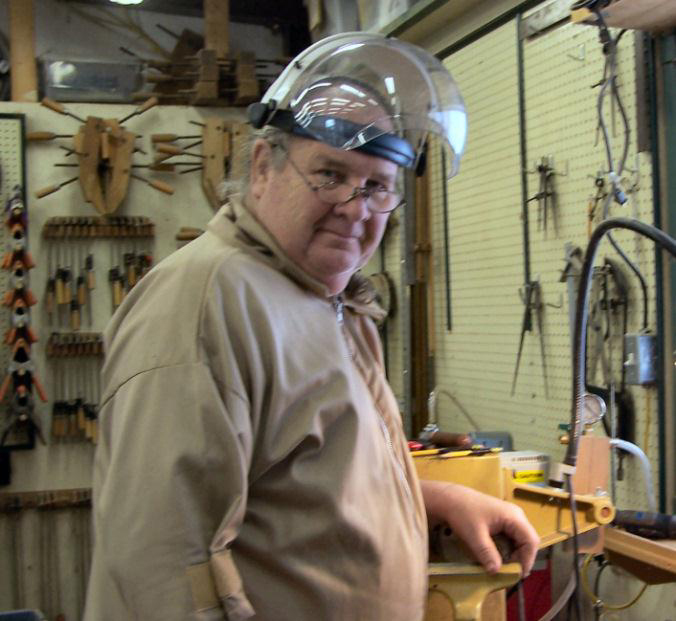 J im Tanksley’s woodturning experience began as many young teens did back in 1969, in junior high school woodshop class. Using a piece of laminated maple and mahogany wood he turned a lamp, Jim will tell you he couldn’t remember the tools he used but remembers it was fun and his mom loved the lamp. 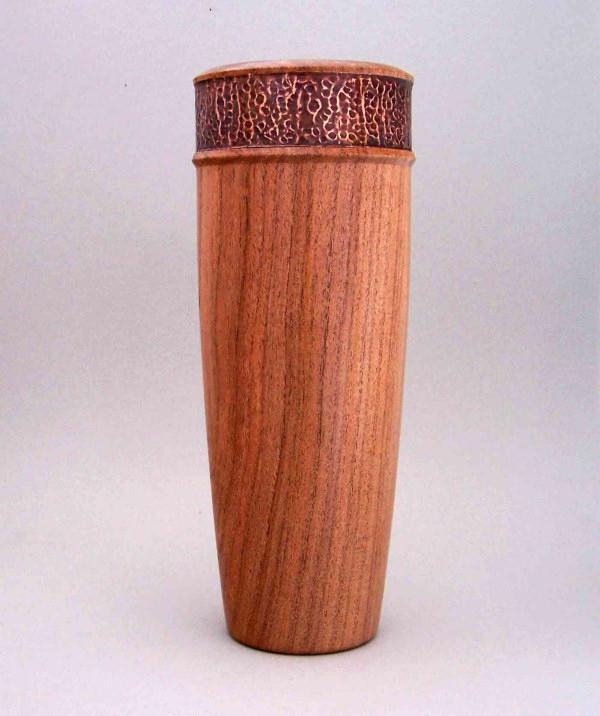 He did dabbled with woodturning again until 1995. He had four 6” x 6” by 30” kiln dried white oak pieces that needed to be turned into table legs. He purchased a cheap lathe from Big Lots and burned out several of them trying to turn the legs. Finally he upgraded and purchased a lathe from a garage sale made by Sears to finish the project. Then in 2006 Jim met Mike Jones at work and became interested in woodturning again after see a wood pen he had turned. After getting the specifics of how and what to buy, Jim made his first visit to Rockler and Woodcraft. Mandrel and pen kit in hand Jim realized his Sears lathe did not have a number 2 morse taper so he would have to purchase another lathe. Wow his first Jet mini, he was on his way to making pen after pen. It was then Jim started attending the woodturning meetings in Fort Worth. Learning and discovering new techniques Jim realized there was more to woodturning than just pens. 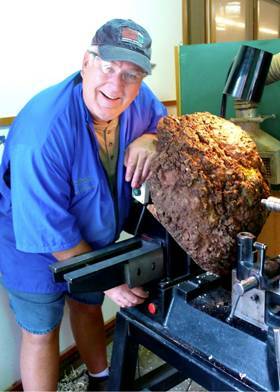 He purchased a used Nova 3000 lathe with capacity for turning 16” bowls. In the beginning he did everything wrong and scrapped over 50% of the bowls. However Jim didn’t get discouraged, his family loved everything he was turning out and he was inspired to continue turning. Hoping to improve his skill he decided to by a bigger lathe (Powermatic 3520B), thinking a bigger lathe would allow him to turn better ha ha. Overtime his success rate and quality of turnings improved with practice, attendance at the woodturning meetings and taking lessons. The club offers hands on classes with professional woodturners each year and Jim started taking advantage of these sessions. Then in 2008 Jim took a 2-day course with Stuart Batty and the light came on. He will tell you his turnings improved at least by 50% and he became comfortable sharpening his own tools after the training. He was hooked! For the upcoming WNTX club meeting Jim will be demonstrating different stages of turning a large bowl. In addition he will give you tips and tricks of the turning large bowls. He prefers to use green wood with Mesquite being his favorite. On display will be some of the large bowls Jim has turned in the past with many different woods (Mesquite, Silver Maple, Magnolia, Oak, Pecan, Black Walnut, and Hackberry). 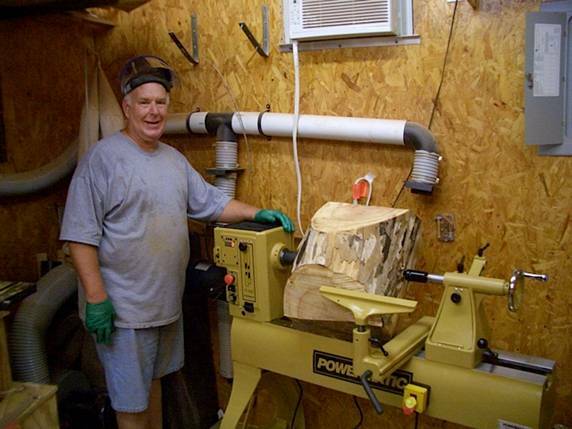 For Larry Maughan, working with wood has been his hobby since he was in elementary school. While borrowing his father’s hand tools (hand saws, drill, plane, files, sandpaper blocks, etc.) he would make wooden boats to float down a nearby stream, or make a wooden car, airplane, train, etc. to play with the kids in his neighborhood. Larry always enjoyed making wooden items that had a functional use. 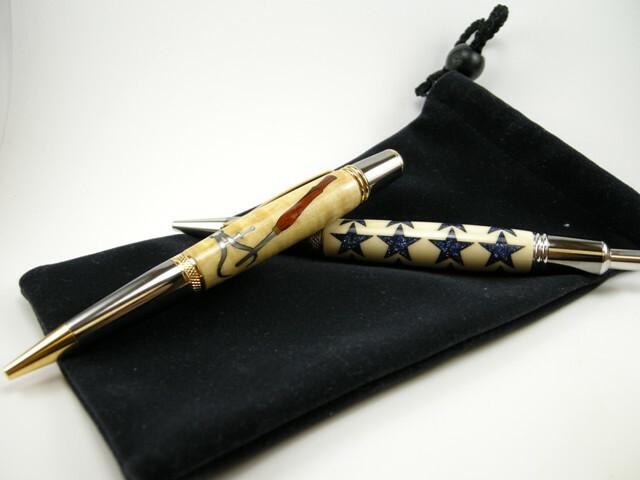 Out of a need to give gifts to his work employees, he attended the first Dallas area pen-making seminar at the former Dallas Shopsmith store in July of 1987. Since then he has continued this interest and hobby during these past 25 years. 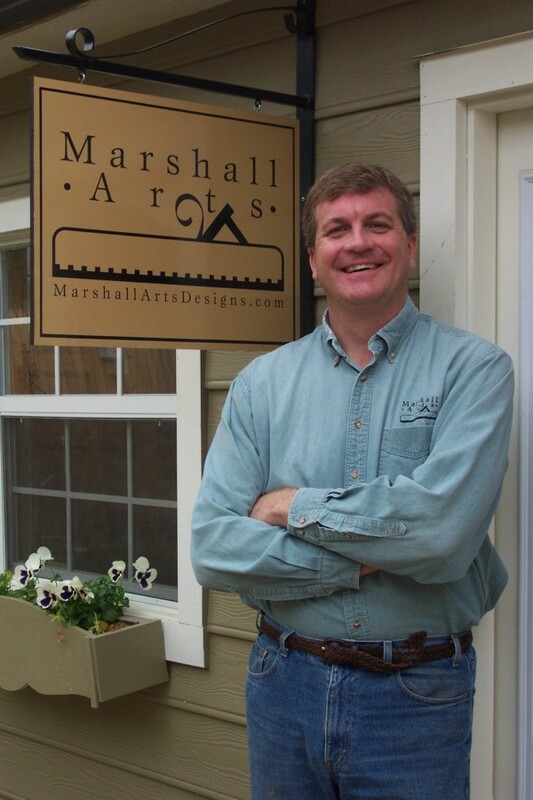 He has led many training classes and demonstrations for the area woodworking stores and turning clubs in North Texas. 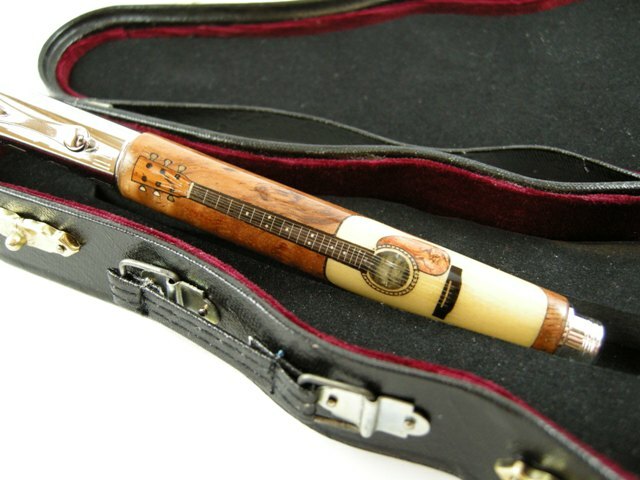 For the upcoming WNTX club meeting he will be assembling and completing the newly released Texas Longhorn Pen produced by the Kallenshaan Woods laser-cut pen company. During the last 5 years, Larry has made and sold almost every pen designed Ken Nelson, President of Kallenshaan Woods. Larry continues to be a local resource for this company in the North Texas area and beyond and gives input as new pen kits are designed by Kallenshaan Woods. At least four of these Longhorn kits, in process of being completed at the meeting, will be given away to club members. Larry will provide timely tips from his experience on assembling, gluing, turning and finishing these beautiful, hand crafted pens. With birthdays, holidays, and anniversaries coming up, this would be a great time to learn some new skills and produce gifts that would most meaningful to the receiver of a hand made gift. 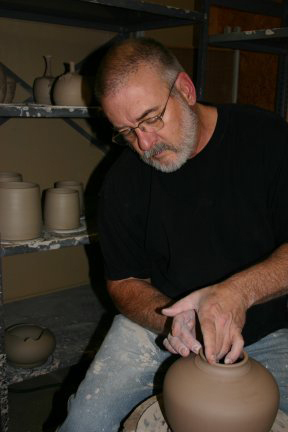 Roy Odom has been involved in working in clay since 1968. Until 2005, his was a part-time involvement in his chosen craft, but since his retirement from teaching he has been full time. He has been included in several competitions like The Rio Brazos Art Exhibition at Tarleton University, The Best of Texas Clay at the Fort Worth Community Art Center, and been juried into many art shows around the country. His work is currently available locally at The Weiler House in Handley and The Upstairs Gallery in Arlington. I simply have to work in clay! Making ceramic art nourishes my soul and gives flight to the images and ideas derived from nature and the world around me. When I was first "smitten" with clay I knew I had to make it a part of my life. I suppose we all come to the things that flesh out our destiny in diverse ways... I took a course in clay in college and have never been able to wash the clay from under my fingernails or out of my spirit. Studying with some wonderful clay artists like Joe Delwaide, Roger Tufts, Karmien Bowmen, Mike Grafe and watching the work of countless others, I have been inspired to pursue and push the boundaries of my creativity...always reaching for a higher level. Over the years I delved into clay as much as another career would allow but now have a full time studio here in Fort Worth and am finally able to do what I have always known I should do – coax from the earth and submit to the fire the forms that live in my mind. Click here to read more about his demo. Turners are increasingly using mixed media strategies to enhance their “round and brown” creations. Copper metal is a relatively unexplored material to complement wood turnings, although copper has been used for over 5,000 years to fabricate everything from pots to jewelry; from tools to weapons. I will present the various shapes and forms of copper commercially available, methods of working copper metal, and the basic tools needed. Emphasis on the unique properties of copper will be covered. I will present specific examples of applying copper wire and sheets to turnings. 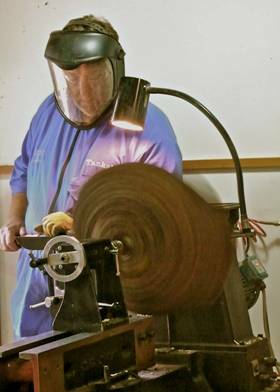 HOME CLUB: Brazos Valley Woodturners, Waco, Texas - Joel is a founding member of the Brazos Valley Woodturners and has been turning for about nine years. He is married to his high school sweetheart for 53 years and she is my most enthusiastic critic.